Mark Zuckerberg is the founder and CEO of Facebook, which he started in his college dorm room in 2004 with roomates Dustin Moskovitz and Chris Hughes and from New York. Zuckerberg is responsible for setting the overall direction and product strategy for the company. He leads the design of Facebook's service and development of its core technology and infrastructure. 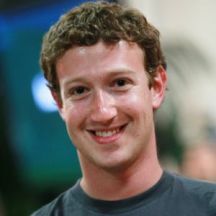 Mark studied computer science at Harvard University before moving the company to Palo Alto, California. Earlier in life, Zuckerberg developed a music recommendation system called Synapse and a peer-to-peer client called Wirehog. However, he abandoned both to pursue new projects. Zuckerberg attended Harvard University and studied computer science before founding Facebook. While at Harvard, Zuckerberg created Facemash, a website that compared students' dorm photos side-by-side in a fashion similar to HOT or NOT. Harvard administration was not amused, and Zuckerberg faced subsequent disciplinary action. Less than three months later, he launched Facebook. In September 2010, Zuckerberg donated $100 million to the Newark Public School System to help renovate and revamp the system. Zuckerberg won the 2007 Crunchie Award for 'Best Startup CEO.' He was the Time Magazine 2010 Person Of The Year. He also won the 2012 Crunchie Award for CEO of the year. 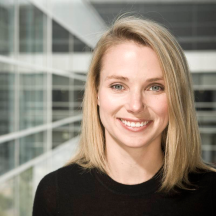 Marissa Mayer was the final CEO of Yahoo, until selling the company's internet assets to Verizon. Previously as a VP at Google, Marissa Mayer led the product management and engineering efforts of Google's local, mobile, and contextual discovery products including Google Maps, Google Maps for Mobile, Local Search, Google Earth, Street View, Latitude and more. At 36 years old, she was also the youngest member of Google's executive operating committee. During her 12 years at Google, Marissa led product management and design efforts for Google web search, images, news, books, products, toolbar, and iGoogle. She started at Google in 1999 as Google's 20th employee and first woman engineer. Marissa's contributions and leadership have been recognized by numerous publications including the New York Times, Newsweek and BusinessWeek. Fortune magazine has listed her for the past 3 years on their annual Most Powerful Women's list, and she was the youngest ever to appear on the list. In 2010 Marissa was honored by the New York Women in Communications, Inc. with a Matrix Award. She also been named a Young Global Leader by the World Economic Forum and Woman of the Year by Glamour Magazine. Marissa serves on the board of various non-profits, including the Smithsonian National Design Museum, the New York City Ballet, San Francisco Ballet, and the San Francisco Museum of Modern Art. Prior to joining Google, Mayer worked at the UBS research lab (Ubilab) in Zurich, Switzerland, and at SRI International in Menlo Park, California. Marissa received her B.S. in Symbolic Systems and her M.S. in Computer Science from Stanford University. For both degrees, she specialized in artificial intelligence. 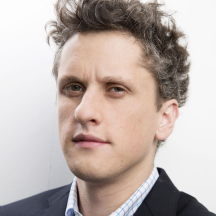 Aaron Levie is Chief Executive Officer, Cofounder and Chairman at Box, which he launched in 2005 with CFO and Cofounder, Dylan Smith. He is the visionary behind Box’s product and platform strategy, which focuses on incorporating the best of secure content collaboration with an intuitive user experience suited to the way people work today. Levie leads the company in its mission to transform the way people and businesses work so they can achieve their greatest ambitions. He has served as a member of Box’s board of directors since April 2005. Levie attended the University of Southern California from 2003 to 2005 before leaving to found Box. Jessica Alba is a Golden Globe-nominated actress whose career includes roles in films such as "Fantastic Four" and "Little Fockers," as well as television series like "Dark Angel," "The Office" and "Entourage." The California native comes from modest beginnings, and never lost her zeal to share her good fortune with others. She is actively involved with charities such as Safer Chemicals Healthy Families, ONE, Habitat for Humanity, Project HOME and more. But, there is one role she enjoys above all others: Mom. "Being a mom is the most profound experience I've ever had," she says. As a mother of two young daughters (Honor and Haven) and a son (Hayes), Jessica admits she feels an intense responsibility to give her children the best possible start. Niklas Zennström is CEO and Founding Partner at Atomico. He is an experienced entrepreneur, having previously co-founded and managed globally successful technology companies including Skype, Kazaa, Joost and Joltid. In 2006, Niklas created Atomico to help entrepreneurs, primarily from outside Silicon Valley, to scale their businesses globally. In addition to overseeing Atomico’s strategy, he works closely with a number of founders of portfolio companies and sits on the boards of Rovio, Mapillary, Truecaller, Farmdrop and ZocDoc. Niklas is most excited about founders that are solving major world problems using digital technology. Niklas is also a passionate believer in the importance of entrepreneurs reinvesting in the next generation of European tech giants, and is proud to have been involved in the successful exits of Supercell, Last.fm, 6Wunderkinder, and The Climate Corporation. Prior to starting Atomico, Niklas co-founded Skype, which became the first truly global category winning online company to be founded outside the US. He was CEO at Skype from its inception until September 2007. In 2005, Skype was sold to eBay Inc for $3.1bn. It was then bought back by a consortium that included Niklas, and was sold to Microsoft for $8.5 billion cash in 2011. 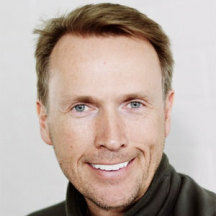 In 2006, Niklas was recognised by Time Magazine as one of its 100 Most Influential People, and he has received numerous awards for entrepreneurship including the KTH Great Prize from the Royal Institute of Technology in Sweden (2009), the Oxford Internet Institute's Lifetime Achievement Award (2011), H.M. The King’s Medal (2013), the Gold Medal from the Royal Swedish Academy of Engineering Sciences (2013), and was voted Entrepreneur of the Year in the European Business Leaders Awards (2006). In 2007, he co-founded Zennström Philanthropies, from which he actively invests in sustainability projects to solve important issues such as climate change, improving the state of the Baltic Sea and encouraging entrepreneurs to build companies that improve the environment. Niklas is also a keen yachtsman, and has won three Mini Maxi World Championships and one TP52 World Championship with his yacht racing team Rán. Niklas holds dual degrees in Business and MSc Engineering Physics/Computer Science from Uppsala University in Sweden, and he spent his final year at the University of Michigan. Marco Boerries is a German entrepreneur with a passion for making ideas work. Inspired by a Silicon Valley school exchange back in 1984, he founded his first company Star Division, as a 16-year-old in 1985. The company created the popular office suite StarOffice and later OpenOffice.org. Marco sold Star Division to Sun Microsystems in 1999 and stayed on as Vice President of Desktop & Webtop Software until 2001. In parallel to Star Division he started his second company Star Finanz as a joint-venture with the Deutsche Sparkassen Organisation in 1996, to re-invent online banking with StarMoney – that became the leading product in Germany. Marco sold his share in StarFinanz to his joint venture partners in 2001. After leaving Sun Microsystems and selling Star Finanz, Marco started his third company Verdisoft in the summer of 2001 based in Palo Alto, California and Hamburg, Germany. At Verdisoft Marco and his team developed the Connected Life platform for connected devices like computers, smart phones and connected TV’s. Starting in 2003 Verdisoft was able to showcase solutions on the ConnectedLife platform, that resemble what we know from services like iCloud today. Marco sold Verdisoft to Yahoo in early 2005 and stayed on to lead the ConnectedLife division until early 2009 - driving Yahoo’s Broadband, Mobile and TV efforts, globally. Returning back to Germany in 2009 Marco started his fourth company NumberFour in Berlin to re-imagine the way small businesses are run, and later established offices in Hamburg, Germany and Palo Alto, California. Together with his team he is working extremely hard to develop and design a business platform to fulfill NumberFour’s Mission “Helping 200 Million+ Run Their Business”. Marco Quote: I deeply care about enabling small businesses to become more competitive and successful. Having started four businesses myself, I know how hard and rewarding it can be at the same time. Small is beautiful! Max Levchin is an investor and advisor to emerging technology companies. He was previously the chairman and chief executive officer of HVF, a startup lab focused on extracting insights from recordable information. Levchin co-founded Confinity Inc. in December 1998, and served as the Chief Technology Officer and a director. He also founded NetMeridian Software, a developer of early Internet applications Levchin also serves as chairman of the boards of directors of Yelp Inc. and Kaggle Inc., and as a director of Evernote Corporation.